So, this book from Haruki Murakami is one in which he plays at being editor rather than writer. It is a delightful collection of short stories that all revolve around the theme of 'birthdays'. All the stories had something interesting to offer; although, of course I enjoyed some more than others. "The Birthday Cake" and "Close to the Water's Edge" were two I was particularly drawn to. 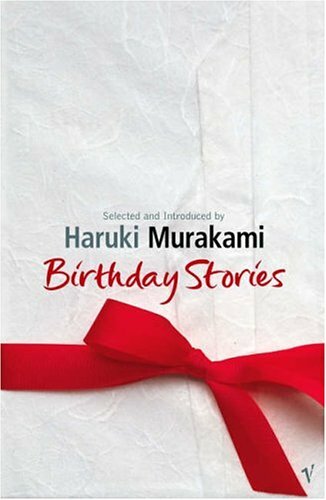 Murakami's own offering, "Birthday Day" was also an intriguing piece with a sense of the mysterious about it, in true Murakami fashion. Fans of his work will no doubt enjoy this little piece. I also found his introductions to the different authors very insightful and it was a nice way to preface each story. Overall this is a great anthology of stories in a wide variety of writing styles and is well worth dipping in to.